Kolkata Sep 14 (IANS) Chief Minister Mamata Banerjee on Friday said she will visit Germany and Italy to attract overseas investments to West Bengal. According to officials her visits will be between September 16-28. She would be accompanied by Industries and Finance Minister Amit Mitra Chief Secretary Malay De and Additional Chief Secretary Hari Krishna Dwivedi. "I am going to Frankfurt and Milan to bring in more business and industry to the state. We will be holding two meetings -- one in Frankfurt and another in Milan " she told reporters at state Secretariat Nabanna. Banerjee said that she was invited by industrialists businessmen and government from the two European countries during the Bengal Global Business Summit this year. 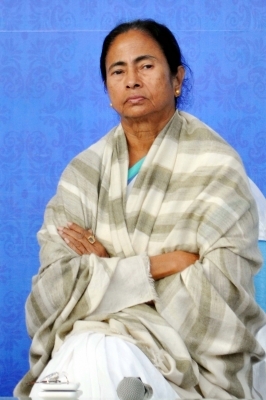 Banerjee said two committees comprising Ministers and senior officials had been constituted to deal with any emergency and natural calamity during her foreign tour. Speaking on the partial collapse of the Majherhat bridge she said that a probe committee led by the Chief Secretary had submitted the preliminary report following which the state had decided to demolish the bridge and build a new one within a year. Banerjee accused the Centre of "showing audacity and arrogance" and claimed that the BJP would be defeated in the 2019 general elections.